We make it easy for you to schedule, invoice and manage your lawn care business. Use a lawn care scheduling software that makes work in the field much easier, while increasing sales. 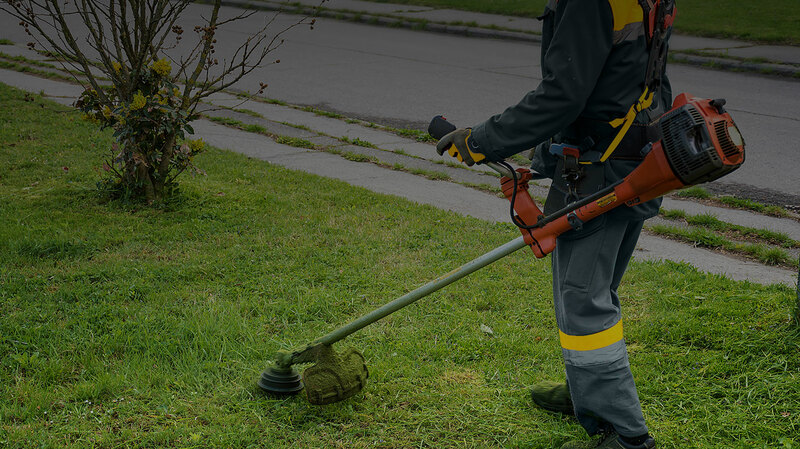 Grow Your lawn care Business with Workiz! You need a software solution that will reduce paperwork and time spent managing your lawn care business. Workiz can help take your business into the digital age, saving you time and headaches searching for papers. Our cloud based solution is accessible anytime from any device with an internet connection. 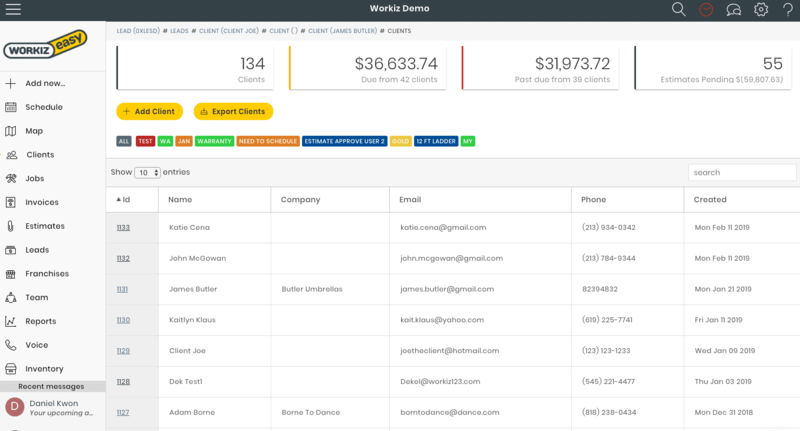 Everything from dispatching, to invoicing to advanced reporting can be done remotely. 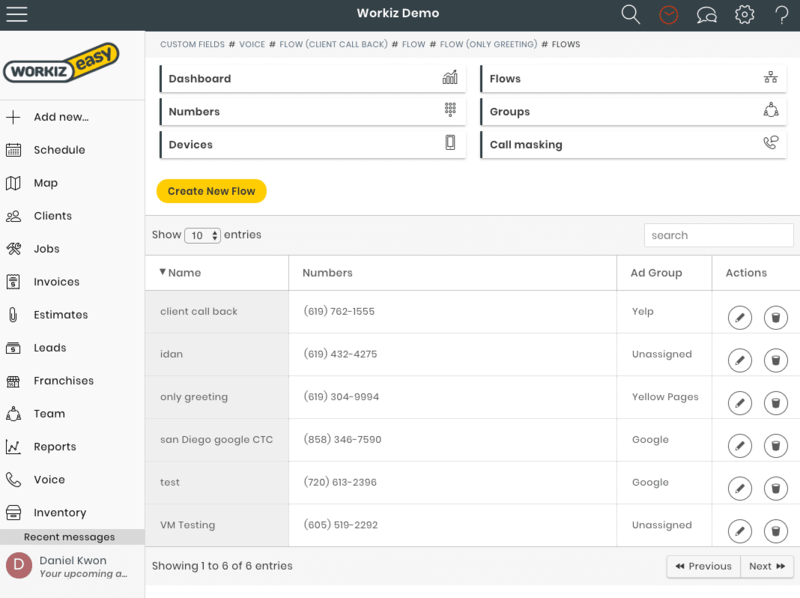 Save time with Workiz when all of your customer information is at your fingertips. Schedule jobs and important tasks in advance to stay on top of service contracts. No more wasted time chasing down clients for payment, invoice and accept payments onsite when the job is done! Monetize all your leads and stop letting paying job opportunities fall through the cracks. Don’t wait for a check in the mail, simply send a link and that’s it. Your business is always on the move, and so is Workiz. Use it on the go and always stay connected to your employees, customers and leads. Easily filter jobs by status, and by metro area. 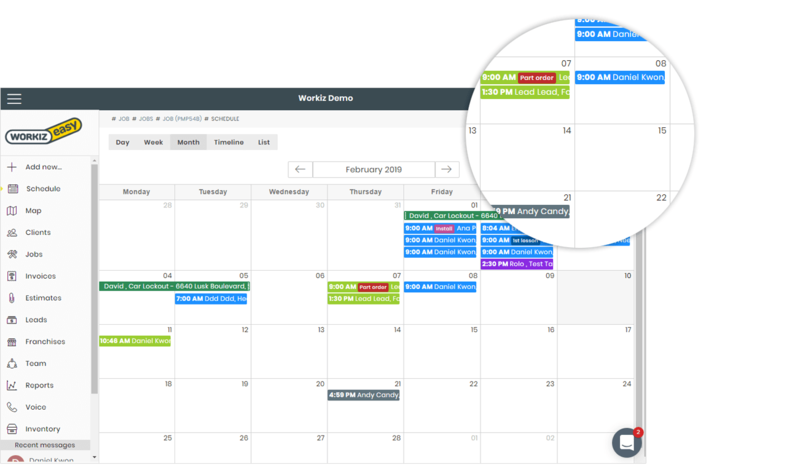 With Workiz’s lawn care software, drag-and-drop to instantly make changes to your schedule. Customize the jobs with different colors for different lawn care crews. Knowing your customers is the key to a successful business. With Workiz, you will have a complete picture of your relationship with each customer. Contact information, property details, service history and more are accessible on one screen. Every email and text is noted and stored. Using our Voice services, you will have every phone call marked by date, time, duration and a recording available for review anytime. Review estimates and invoices to see a complete service history. You can even attach photos and collect e-signatures as approvals for work performed. It’s important to have full control over your ad-spend as a lawn care professional. With Workiz, you’ll be able to track leads and job sources, by assigning a different number to each ad-source, whether online or offline. Measure your ROI and you’ll know which ad sources to cancel, and which to double down on, so you can increase your profits and grow your business. What's a lawn care cleaning software? Lawn care scheduling software is a web or mobile app that helps you run your service business more efficiently. You can you use our app or software from anywhere that has an active internet connection to check your lawn care leads, schedule, view your client’s history and create invoices. How can a lawn care scheduling software help my bottom line?